GROW HAIR LONGER, FASTER. Long, healthy hair can be an elusive aspiration. 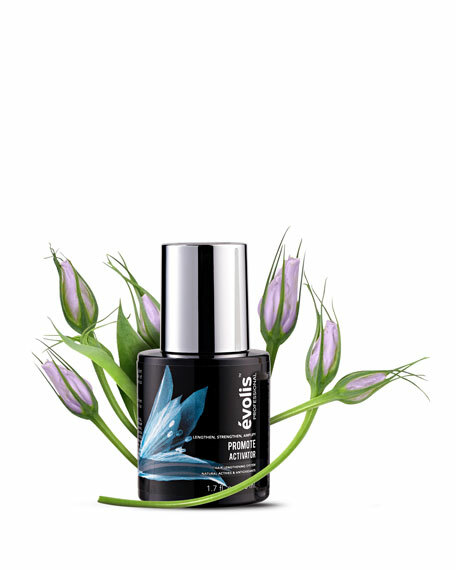 The évolis PROMOTE Activator accelerates hair growth, lengthening hair by 20%*. Exclusive proprietary blend enhanced with Baobab, fortifies to protect and prevent future damage while conditioning and hydrating hair. Use twice a day on damp or dry hair for stronger, longer gorgeous hair. Increases hair length up to 2 extra inches; taking short to long, faster. SANGUISORBA OFFICINALIS: A hair-saving flower that is commonly found in the fields of Europe. Part of the powerhouse Activator lengthening blend that accelerates hair growth. ROSA MULTIFLORA: Japanese rose is an important player in the Activator hair lengthening blend. Harvested in Japan specifically for évolis. SWERTIA CHIRATA: Known for its ayurvedic benefits as an antioxidant and anti-inflammatory. Key part of the Activator lengthening blend. BAOBAB: Called the tree of life, Baobab improves hair manageability, protects against heat styling and instantly conditions improving overall suppleness. Developed by hair biologists and recommended by hair stylists. Formulated without parabens, sulfates, silicones and phthalates. Color Safe, Keratin Treatment Safe and Extension Safe. All évolis Professional products are 100% cruelty free. 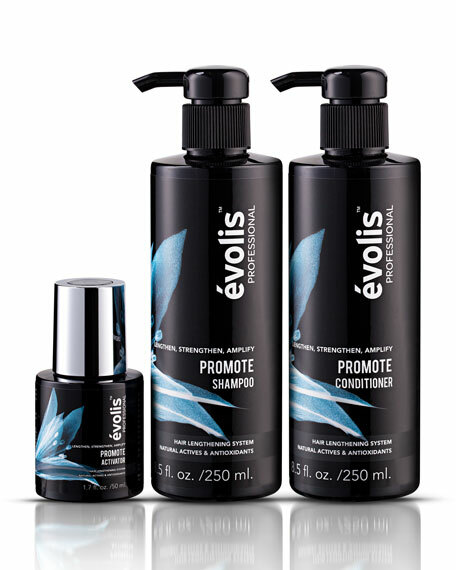 In a consumer experience study 95% of users experienced improved texture and 9 out of 10 preferred the évolis system to their current hair care regimen+. *Published, peer reviewed study of 39 individuals over four months of using the product for four months. +In a 2017 Consumer Usage Study of 79 users conducted by Colour Collective, Dallas, TX.